Chemistry professor Arun Gupta has been named a Distinguished University Research Professor by The University of Alabama Board of Trustees. From the March 2013 Desktop News | A College professor who is internationally known for his expertise in investigating thin films and nanostructured materials for use in information technology and energy applications has been named a Distinguished University Research Professor by The University of Alabama Board of Trustees. Dr. Arunava Gupta, a professor in the College’s Department of Chemistry, received the appointment at a recent meeting of the board. 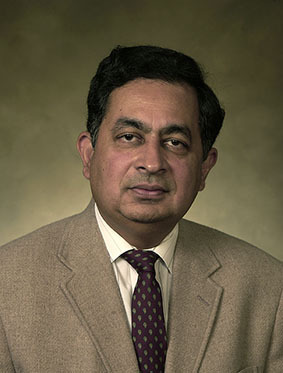 Gupta, who holds a joint appointment in the College of Engineering’s Department of Chemical and Biological Engineering and is associated with UA’s Center for Materials for Information Technology (MINT), was recognized as being a UA faculty member who has achieved international accomplishments in his field and has been given extensive peer recognition for his scholarly contributions and noteworthy academic service as a teacher, researcher, and clinician. While working as a researcher at IBM, he played an influential role in the expansion of research and industrial interest in these fields. During 1988-1990, his team at IBM reported the use of solution-based-precursors for the synthesis of high temperature superconducting oxide films and also made pioneering contributions to the development of the Pulsed Laser Deposition technique for oxide film growth, which is now well recognized. In the 1990s Gupta conducted similar groundbreaking research in the area of magnetic oxides, being the first to report large magnetoresistance effects at low fields in devices fabricated from manganites and other half-metallic oxides. Since joining UA’s faculty in 2004, Gupta has remained at the forefront of research into the synthesis, properties, and applications of oxide and chalcogenide thin films and nanostructured materials, an area as rich for continuing research as it is for industrial and commercial application. During his career he has published over 300 research papers in highly regarded scientific journals including Nature, Nature Materials, Science, Nano Letters, Physical Review Letters, Applied Physics Letters, and the Journal of the American Chemical Society. In 2010, he gained international acclaim when he received Germany’s prestigious Humboldt Research Prize awarded by the Alexander von Humboldt Foundation.  The $75,000 award is given to internationally renowned scientists and scholars. In 2011, he was elected by his peers as a Fellow of the American Association for the Advancement of Sciences, the world’s largest general scientific society and publisher of the journal Science. He is also a fellow of the American Physical Society. Since coming to The University of Alabama, Gupta has been awarded more than $5 million in funding from such key sources as the National Science Foundation, the U.S. Department of Energy, and the Department of Defense.